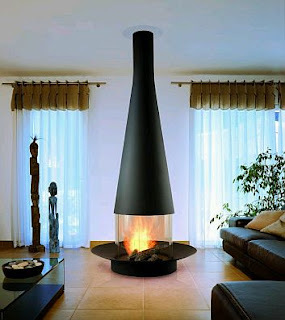 If you found it interesting our first article on modern fireplaces, but still do not find the model or design you expected, here we bring you a second installment that surely will be very useful. 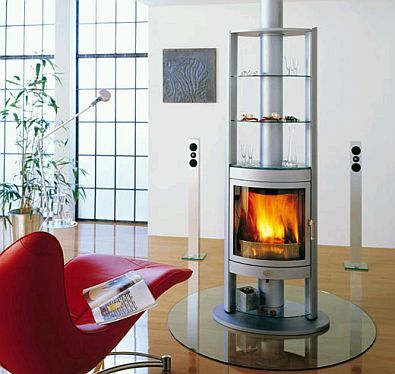 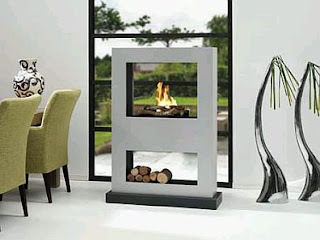 This first model shows how elegant can be a fireplace, when their design is modern and tasteful. 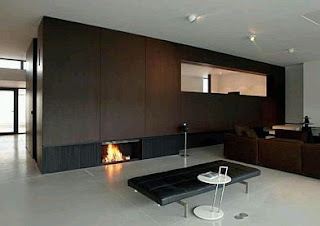 If you want to risk a little more, this original, modern and futuristic one, is right for you. 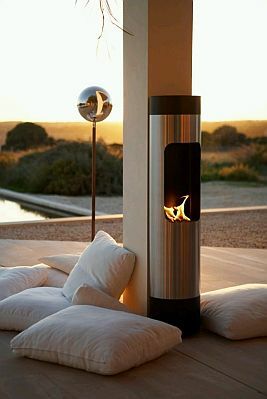 Then the same model placed into two different environments, and different decoration, but the result is the same, modern and pure elegance. 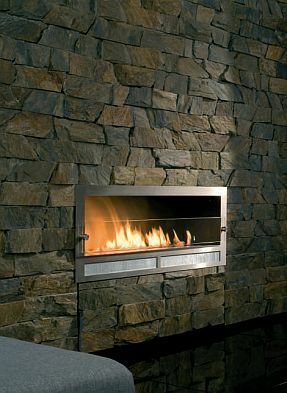 It is virtually impossible for a model as modern fireplace like the image below, looks good in any atmosphere of a well decorated home. 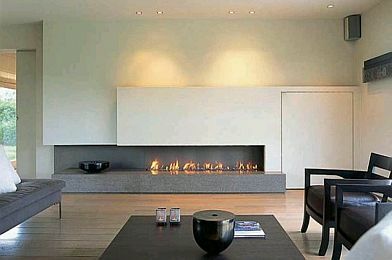 Another proposal that has become very popular is the fireplace recessed into the walls of the rooms, the result, sober and beautiful. 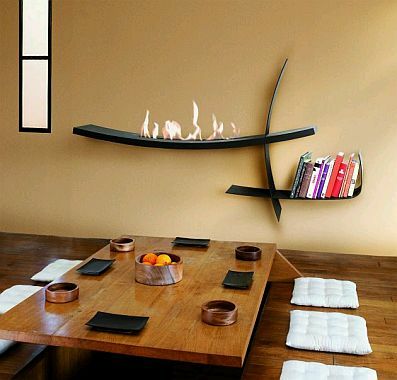 If you prefer something more subtle, this proposal is indicated, the advantage of this particular model is that, for its size, you can place it anywhere. Practical, modern and futuristic, are the adjectives that best describe this fireplace, which accompanied by the appropriate furniture and accessories can be the most striking element of your home. 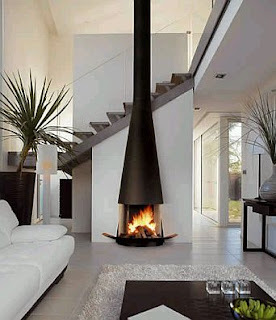 If you want to give the place it deserves a nice fireplace, this model will not let pass unnoticed. 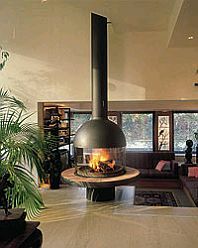 Finally, by the insurance system with modern fireplaces today, you can put it in places where before you would never have thought could be, this is an excellent example. I hope you have liked these proposals.